The Sale was agreed within 24 hours of coming to the market. The freehold of an office investment – 5 The Court, Holywell Business Park in Southam has just been sold to a private investor at an 8% net initial yield. The property comprises a 154sqm / 1,653sqft 2 storey office building constructed less than 10 year ago with 7 car spaces. 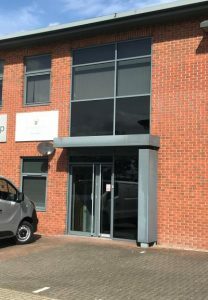 The property is leased to Richmond Villages on a 5 year lease from March 2018 at an initial rent of £25,420pa with a tenant break option in 2021. Boston Fieldgate advised the vendor and negotiated the sale.